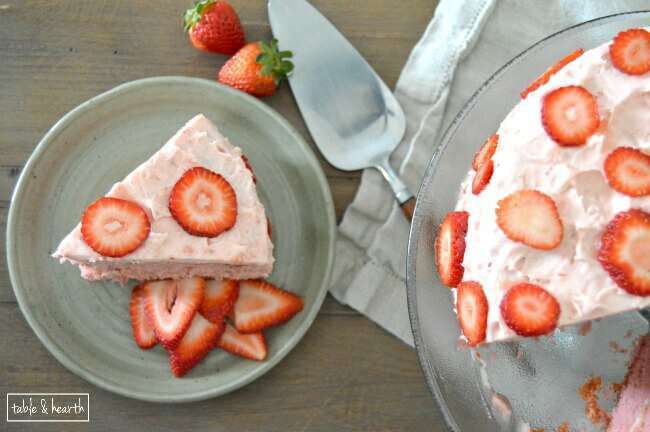 I made this Strawberry Triple Layer Cake from Gonna Want Seconds back in the summer and sent it up to the hubby’s work (not without making us a little one too of course), and he tells me they still rave about it. 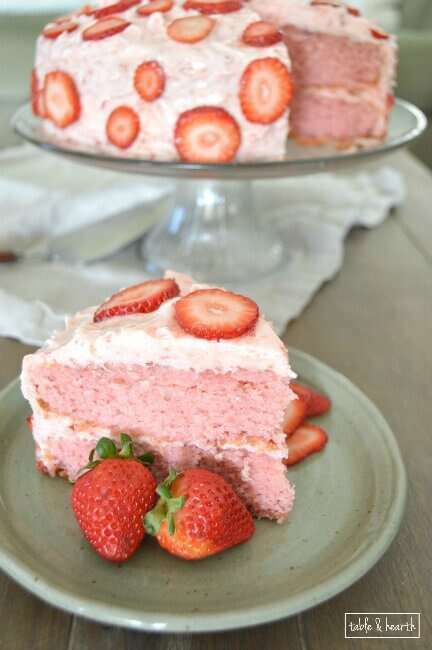 I didn’t like strawberry desserts at all as a child (ice cream, cake, pastries) but in the last year or so, I’ve had an insatiable craving for them, especially strawberry cake. 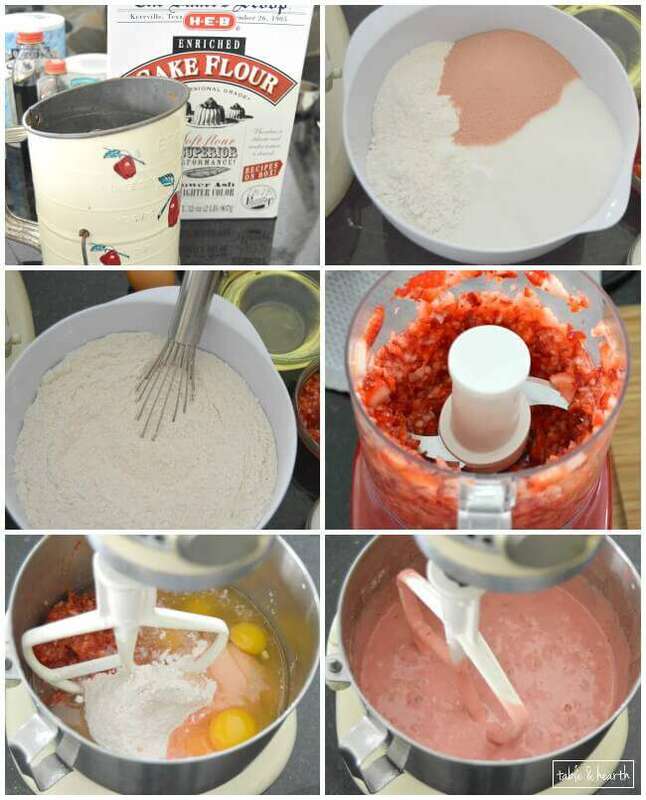 So as soon as I saw this one, with it’s decadent strawberry buttercream, I HAD to make it. 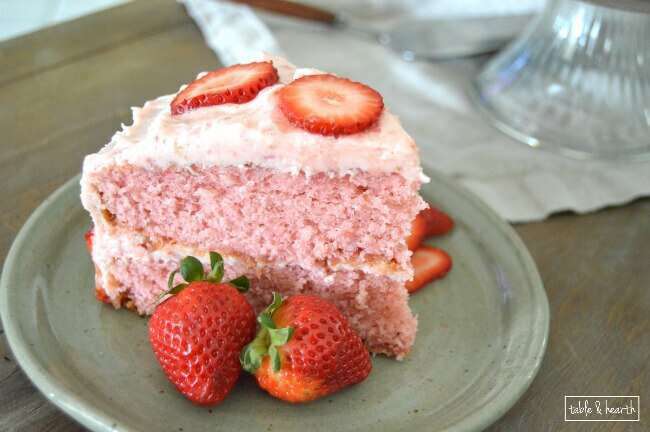 The secret to keeping this an easy cake is using strawberry Jell-O powder in the batter, but still using a ton of fresh strawberries as well. 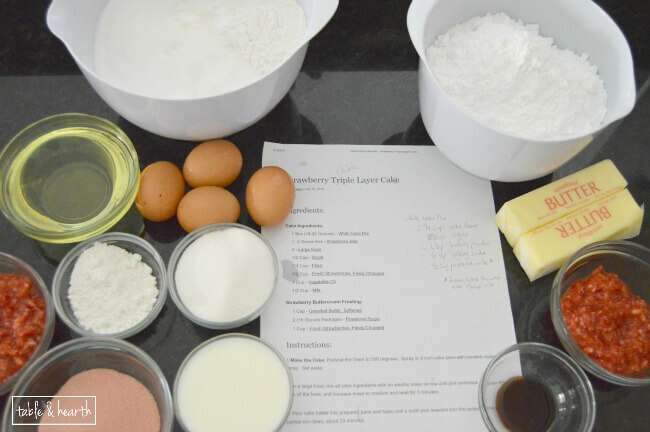 As Kathleen states in her recipe, the buttercream takes a bit of patience. 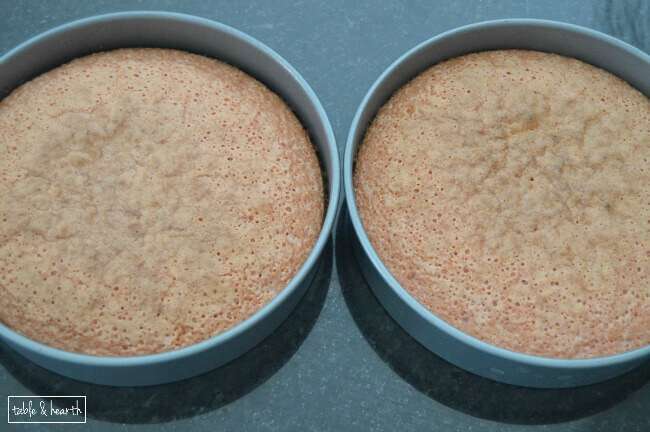 I actually found it worked best for me when it was closer to room temperature versus chilled, as it was pulling off the sponge when it was colder. 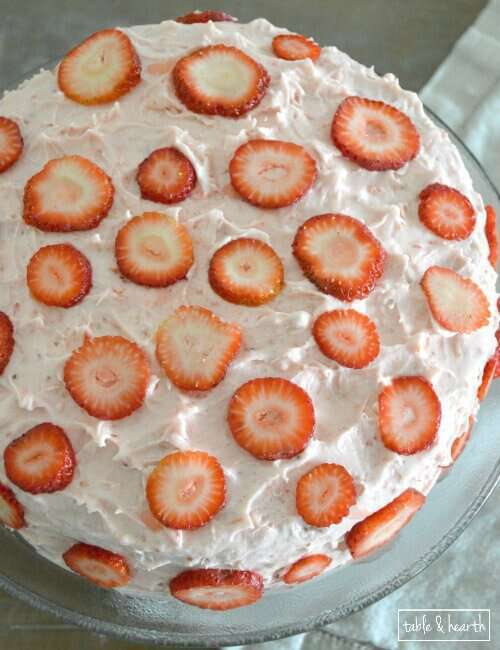 But as soon as it was all frosted and I had added the strawberry “dots”, I chilled it for a good hour or so. This cake would be so perfect for any celebration (oh man, especially a little girls’ birthday or baby shower!!) and is as moist and yummy as it is pretty. 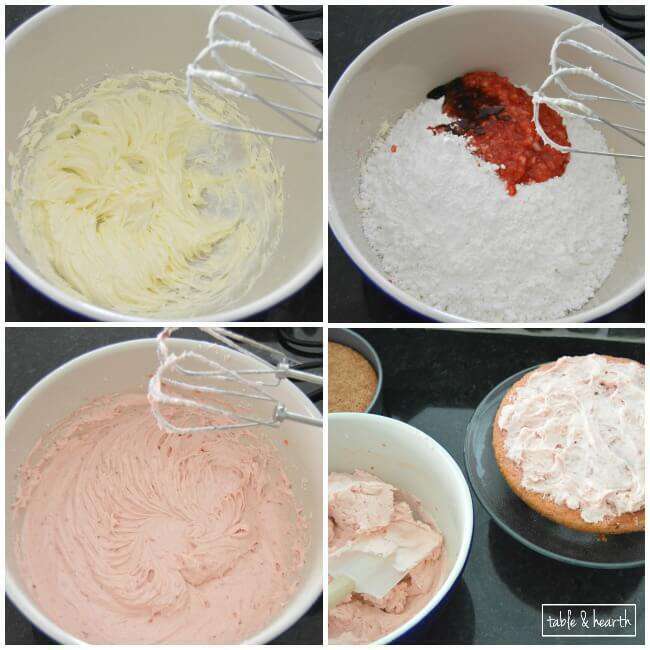 Grab the recipe HERE. Also, today is the last day for my custom doormat giveaway with Nickel Designs, so make sure and get your entries in HERE! While you’re over there, get some holiday shopping ideas from our gift guides (take advantage of those Cyber Monday deals today!!!) 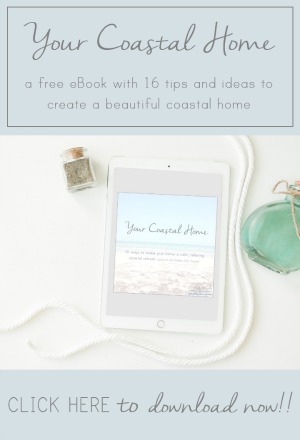 and enter the 25 other giveaways too! !